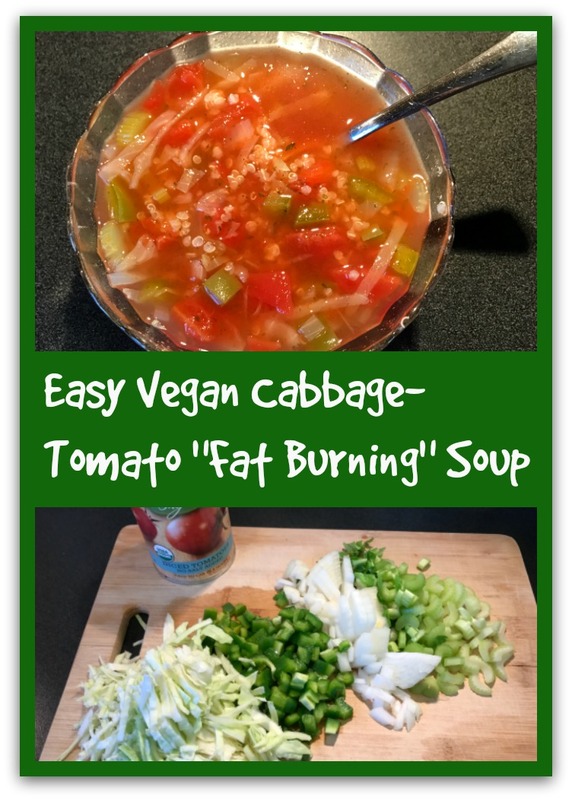 Cabbage, tomatoes, and quinoa...just what I need for a light, nourishing winter lunch. Yum! Nowadays I manage my weight a lot better without extreme dieting, but I still love my version of this soup. I really crave it sometimes, particularly after a feasting holiday like Thanksgiving or Christmas when I just want something warm and satisfying that won't add many calories and basically zero fat (255 calories and 0.06 grams of fat in the entire pot of soup, by my calculations using the Calorie King app.) Added bonus? This soup is cheap to make. The most expensive item is probably the cup of quinoa. Place all veggies except for the canned tomatoes in a pot with the vegetable broth and bring to a boil. Simmer 10-15 minutes, or until the cabbage is translucent and tender. Add salt and pepper as well as the canned tomatoes, and continue simmering an additional 10 minutes. Add fresh or dried herbs of choice if desired. If I'm in a hurry (which is usually the case) I just sprinkle in a good helping of dried parsley. Sometimes I like mixed-herb blends like Italian Seasoning in this. Just go with what herbs sound good to you at the time. When ready to eat, spoon in some quinoa, mix, and enjoy. Optional add-in: a drop or two of Tabasco sauce.